WHAT IS THE GAD CONSERVATORY PROGRAM? 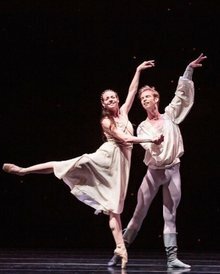 The GAD Conservatory is an intense training program offering approximately 21 -25 hours a week of professional instruction including Ballet technique, Pointe, Variations, Pas de Deux, Contemporary, Nutrition & Career Counseling. and various performances throughout the season. 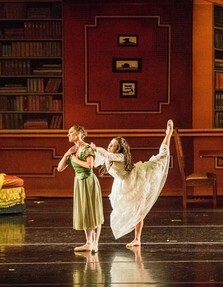 Georgia Dance Theatre Trainee and Professional Companies. 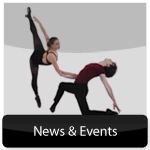 Georgia Academy of Dance & the Performing Arts are eligible for the Conservatory Program. Any students not involved in the Academy are welcome to audition. 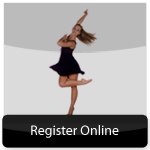 For additional information regarding the GAD Conservatory Program please contact Artistic Director Sherri Davis at sherri@gadance.com. We are so excited to offer the next level of advanced training for dancers within our community and beyond! For additional information on the successes of GAD/GDT Alumni Students please visit our Alumni page. ABOVE & BEYOND, LLC - a talent management & development firm specializing in individual and organizational coaching. Read more about Dr. O'Brien and his vast experience in education below! President & Founder | ABOVE & BEYOND, LLC. Dr. Joe O'Brien is currently the President and Founder of Above and Beyond, a talent management and development firm specializing in individual and organizational coaching. His specialty involves a life development process that engages leaders and employees as well as young adults to achieve higher levels of performance. These strategies include goal setting, accelerated learning techniques, critical & ethical thinking, and intrinsic motivation. Throughout his career, Joe has been a leader, teacher, consultant, administrator, counselor, mentor, and coach. His mission is to inspire others to "know how to be more than they think they can be." Joe has worked for several colleges and universities where he has designed, developed, and implemented an innovative course on College & Life Success to academically and socially at-risk undergraduate students. Because of the skills and knowledge attained in this course, the retention rate beyond the first semester is greater than 99% and students achieve unparallel success, not only academically but also in their careers. In addition to 30 years of teaching experience in a variety of academic settings including middle and high schools, Joe has held various academic leadership positions including Assistant Dean and Professor of Human Resource Development at National-Louis University and Program Director and Assistant Professor of Health Care Management at Clayton College & State University. His academic experience extends to both undergraduates and graduate students and includes a Visiting Professor of Management at Clark Atlanta University and Adjunct Assistant Professor at The George Washington School of Medicine and School of Business and Public Management. He has also held faculty appointments at numerous colleges and universities where he has been awarded Professor of the Year honors 4 different times for his innovative teaching designs. Joe has designed, developed, and presented over 110 national workshops and seminars on leadership and management, motivation, and communication. He has published several manuscripts and participated in numerous multimedia productions on quality, teams, and information technology in healthcare and education. He was the host for 4 public television programs involving the largest deployment of computers by an institution of higher education in the United States. He has doctorate in Executive Leadership in Human Resource Development at The George Washington University School of Education. In addition, he holds a Master's degree in Counseling and Education from Villanova University and a Bachelor of Science degree in History and Political Science from Drexel University. 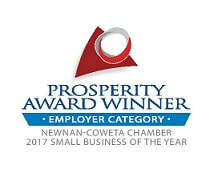 We are honored to have been chosen to partner with the Fayette County Board of Education and Coweta County Board of Education Mentorship/Work Study and Internship Programs a few years ago and we are excited to continue that partnership. Georgia Academy of Dance & the Performing Arts! We are privileged to have been able to watch graduates of these programs go on to pursue a career in the arts. ​To find out more information on the Mentorship/Work Study and Internship Programs please contact Artistic Director Sherri Davis by clicking here! 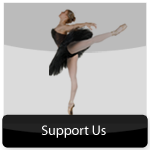 Georgia Academy of Dance & the Performing Arts is the only program in South Atlanta that has dedicated Directors that provide academic & home schooling support and guidance. Students enrolled in the conservatory program receive daily instruction as a pre-professional dancer while participating in a challenging academic curriculum which includes college preparatory, honors, and advanced placement courses. These courses are offered on line through the State of Georgia, Konos Academy, and Georgia Connections Academy. An additional approved program by GAD Conservatory Program if the Trinity Hybrid Program. Please click the links below to learn more these academic & home schooling opportunities. To learn more information about the Academic component of our Conservatory Program, please contact us at info@gadance.com.